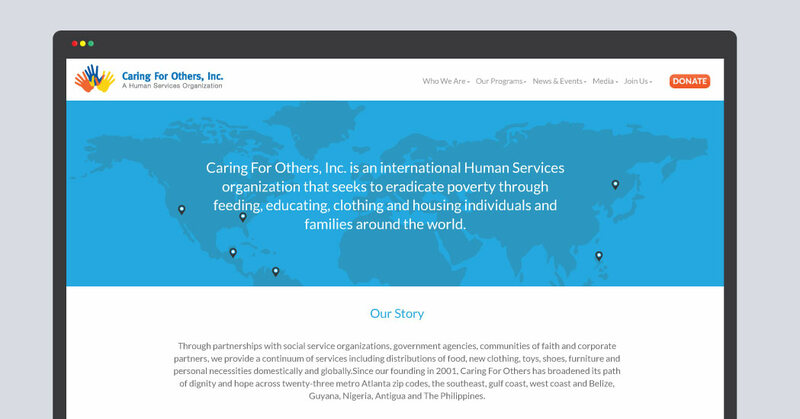 Caring for Others is a human services organization geared at providing the basic necessities to families and children. 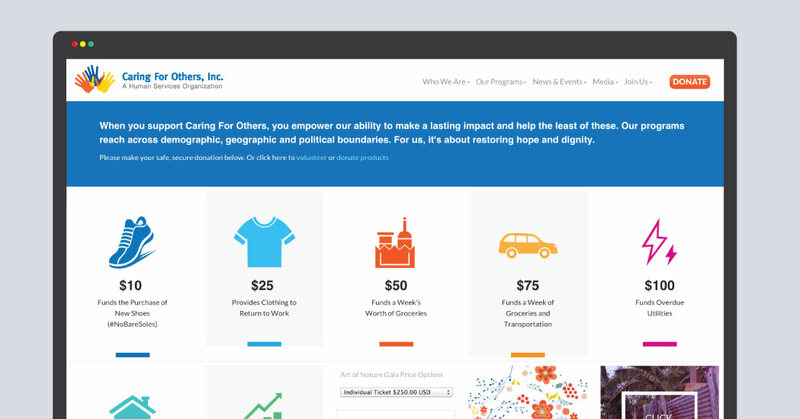 Their initiative is to eradicate poverty through feeding, educating, clothing, and housing individuals and their families. 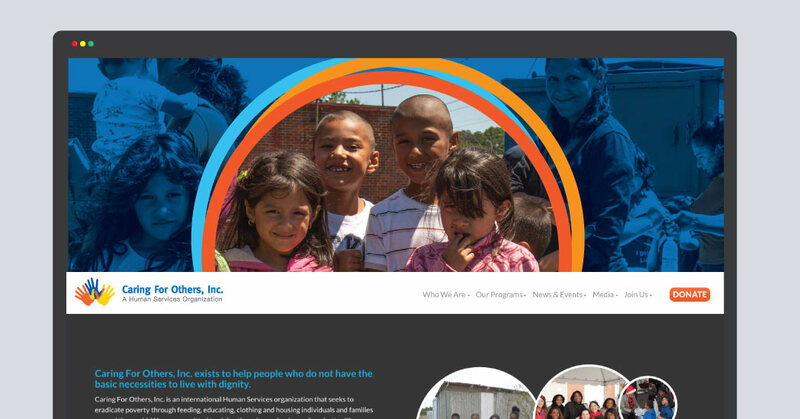 With their site, we aimed at showing families and most importantly the people. 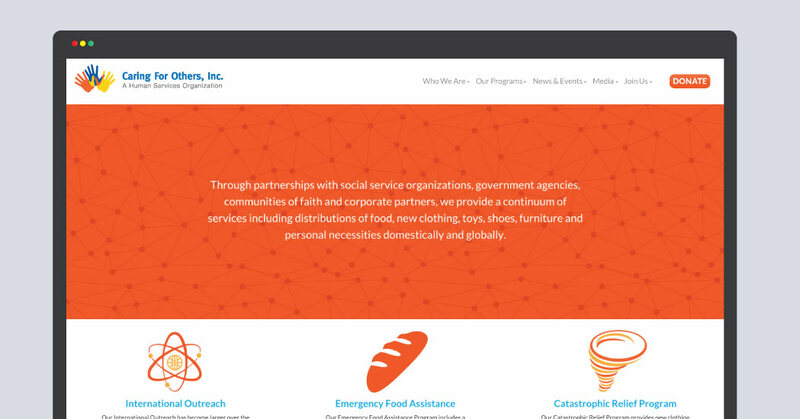 Those families that have been assisted by this organization were showcased on every section of the site. We deemed it important to show the people being impacted by the organizations goals. 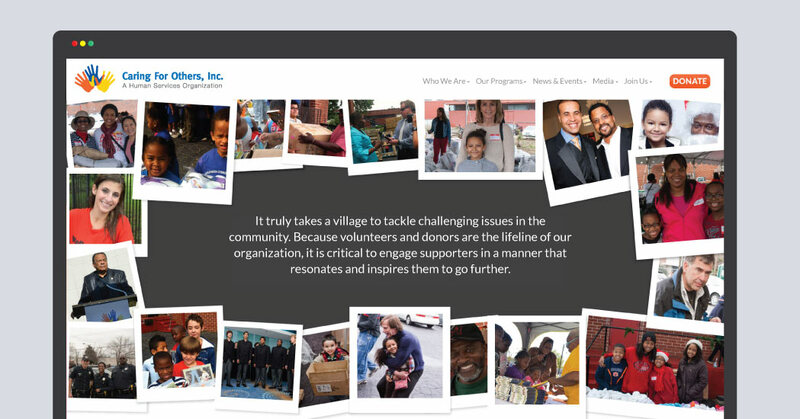 Sections of the site such as: Who We Are, Our Programs, and Join Us were created to inform the viewer of the things that make up this organization. 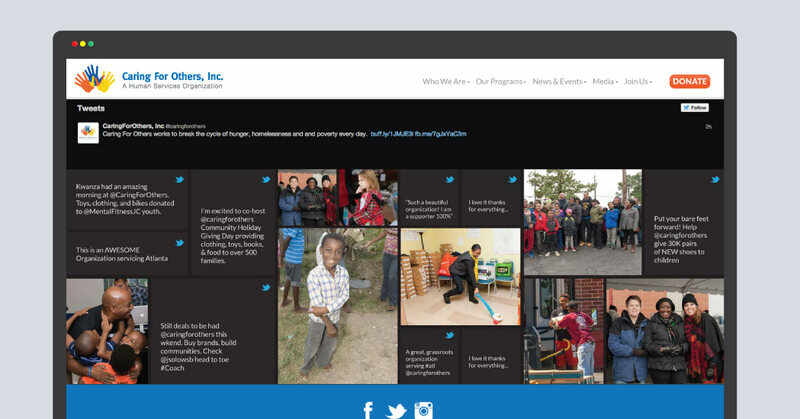 The organization's Twitter page was also incorporated through the site to show its strides and updates without leaving their site. This is perhaps one of the key components of the site. This Twitter incorporation shows the viewer the events being had, and the people being helped. What better way to show that then through tweets, and pictures. The typography included Lato Font, an iconography system, and used the brand's color system, as well. Through these key components, we were able to create a clear cohesive design that showed the goals and personality of Caring for Others.